Happy Valentines Day! Thought I would be a little on theme and share my top 5 Essie and OPI red nail polishes with you guys with a little side by side comparison. 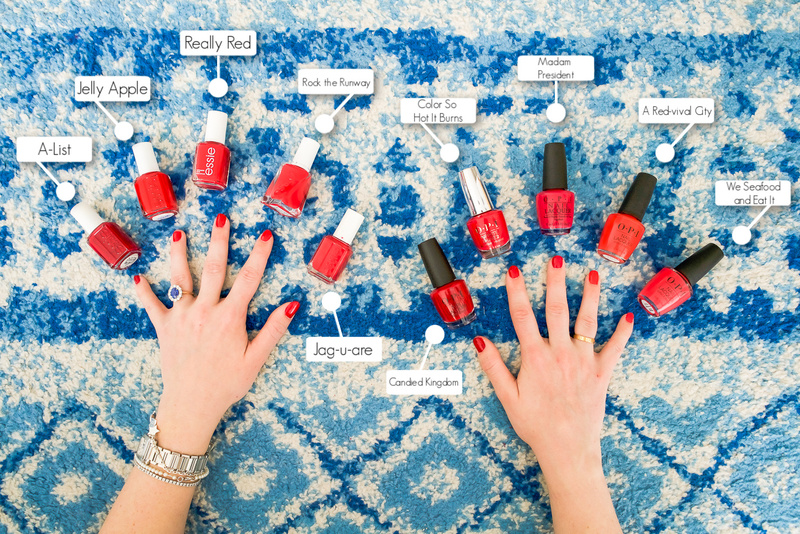 I know that there can be a million shades of red polish that all look the same but I wanted to just quick share what my favorites are. They each have their time and place in terms of when I want to/will wear them and I'll be the first to admit that there are like 4 exact shades listed. BUT nonetheless, it's fun to compare each of them next to one other and see how they look. Red nails are my favorite thing. I feel like they've kind of died in popularity (with everyone going pink and neutral) but I just love to look and feel of a red nail. With the exception of like a few weeks in the dead of winter, I really love a true red. Coral undertones and something that just pops. I know Big Apple Red is a go-to red for a ton of people but I just find it a little too dark for my liking. The color I've bene wearing for a couple months is Essie's Rock the Runway (pointer finger on my left hand). 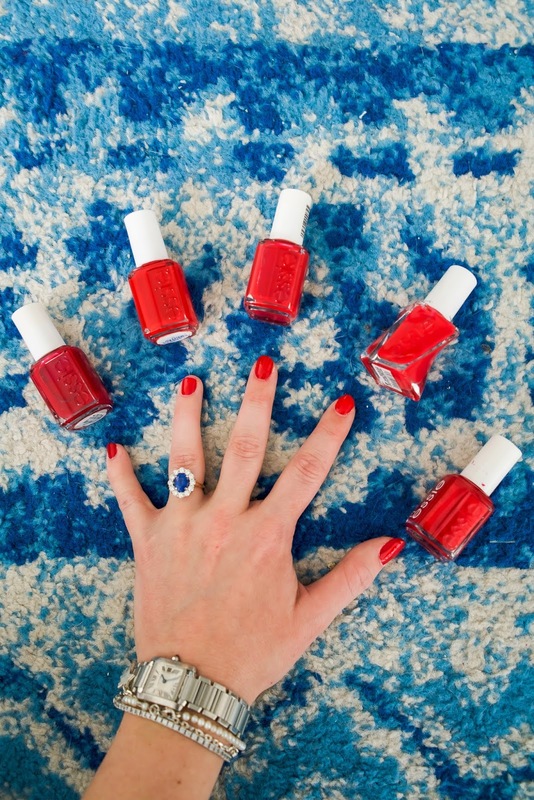 It's just a very true red and is becoming my favorite Essie color so far -- and I have a lot! It might be my second favorite polish I own behind Red-vival City from OPI. I don't even know how I got this color or when I started using it but anytime between March and September, this is the color on my nails. I just love it so much, as I think it's the perfect summer red. It's (as you can tell in a few of the photos) a true coral bright red that really pops. So it gives you a great red look with being a little more summery and fun. Any time I'm using regular polish this is my go-to. A ton of salons carry it as well which is really helpful. There was a point last summer when I carried it in my bag just incase they didn't! And while I wont go into a ton of detail about each polish (because it can probably get pretty repetitive) I did want to hit on a few points that I think are worth mentioning! 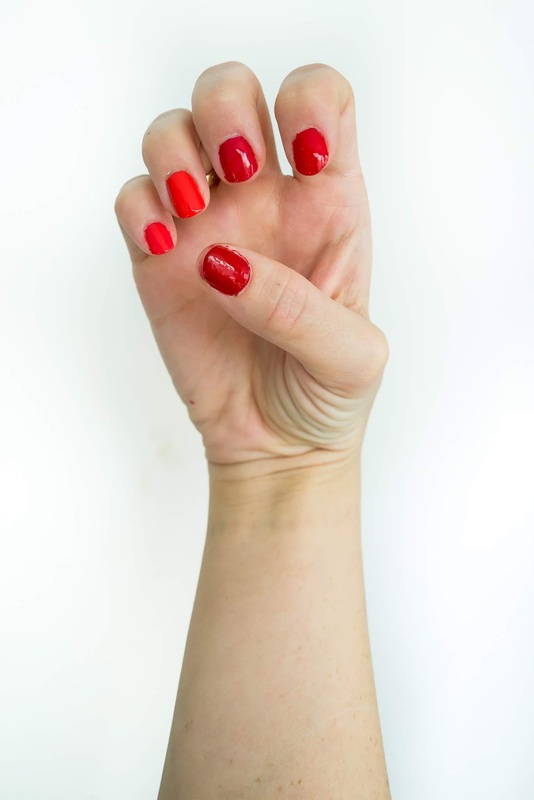 Rock the Runway is a gel type polish but is by far my favorite red that Essie makes! 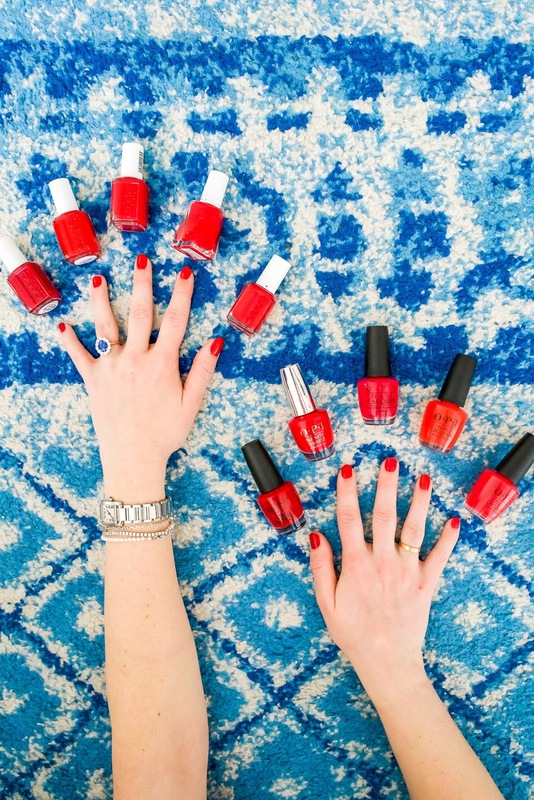 What is your go-to nail polish color? Any reds that I NEED to know about?? This is such a fun post! 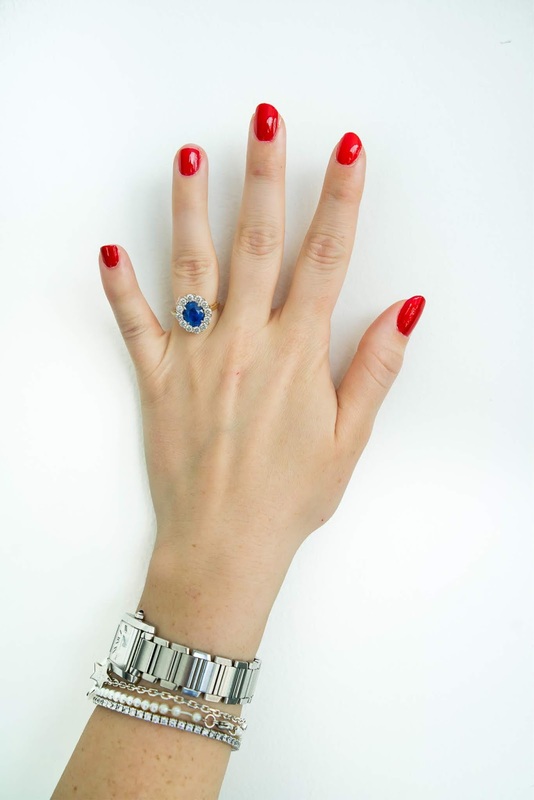 I pretty much never do red nails but you might have inspired me next time I go to the salon! 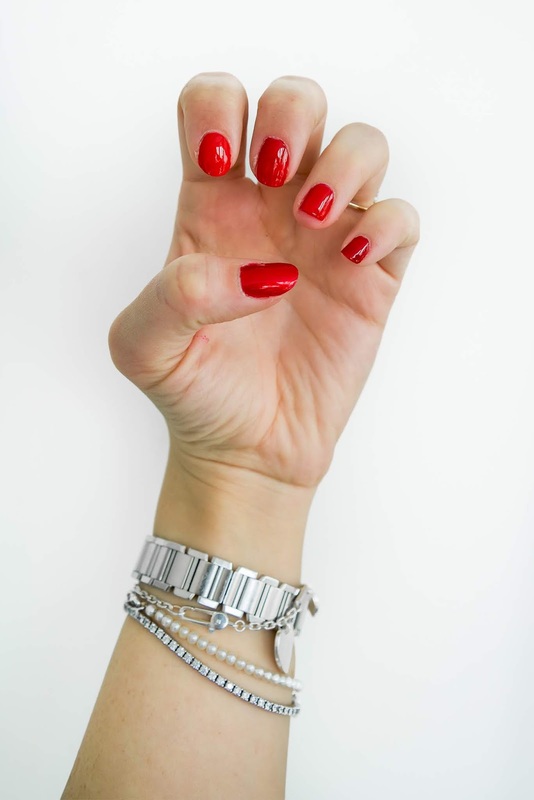 I love a good red nail, too! One of my faves is from Essie, and called Forever Yummy! Happy Valentine's Day, Krista!! This was such a good read! I'm always one to take forever to pick colors at the nail salon. 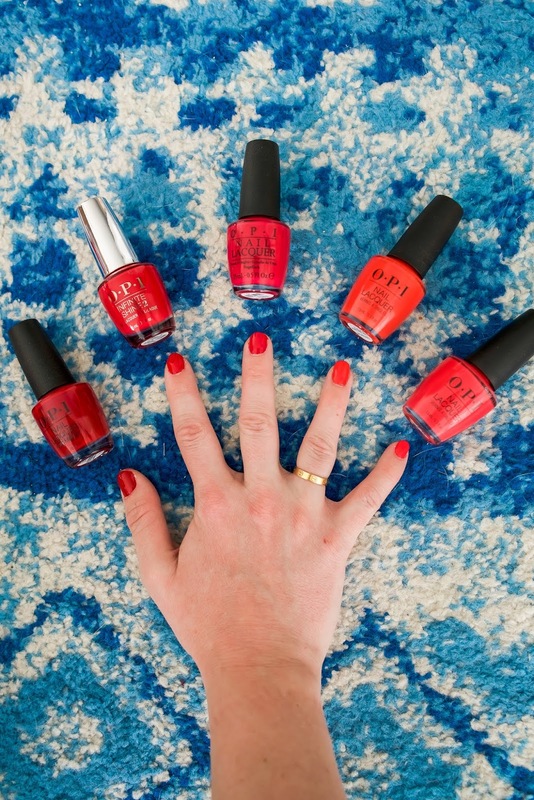 OPI Big Apple Red is my tried and true. I went for a burgundy polish over Christmas and New Year's Eve, but really missed the red. I've been wearing red exclusively for like 3 years and I agree, I Love the POP! 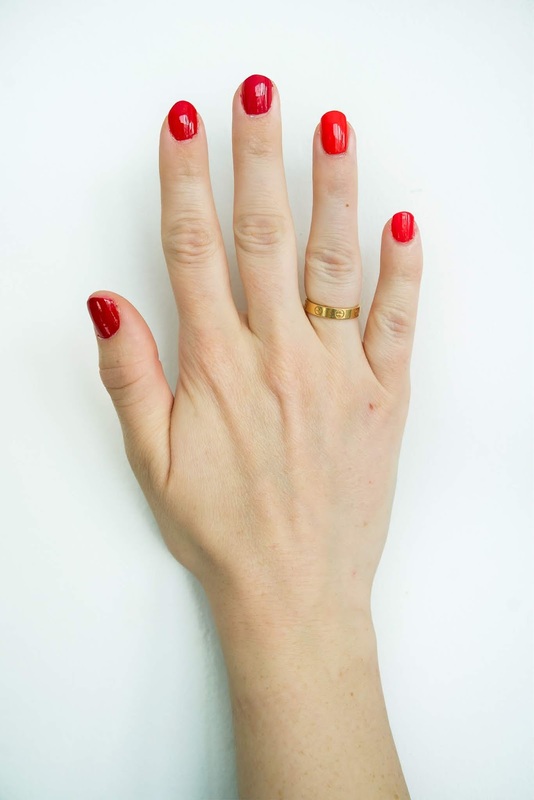 I always have red nails! "Got the Mean Reds" by OPI is my go-to.